A simply stunning and grand addition to our collection of antique French style and shabby chic furniture comes this exquisite antique French style sideboard. 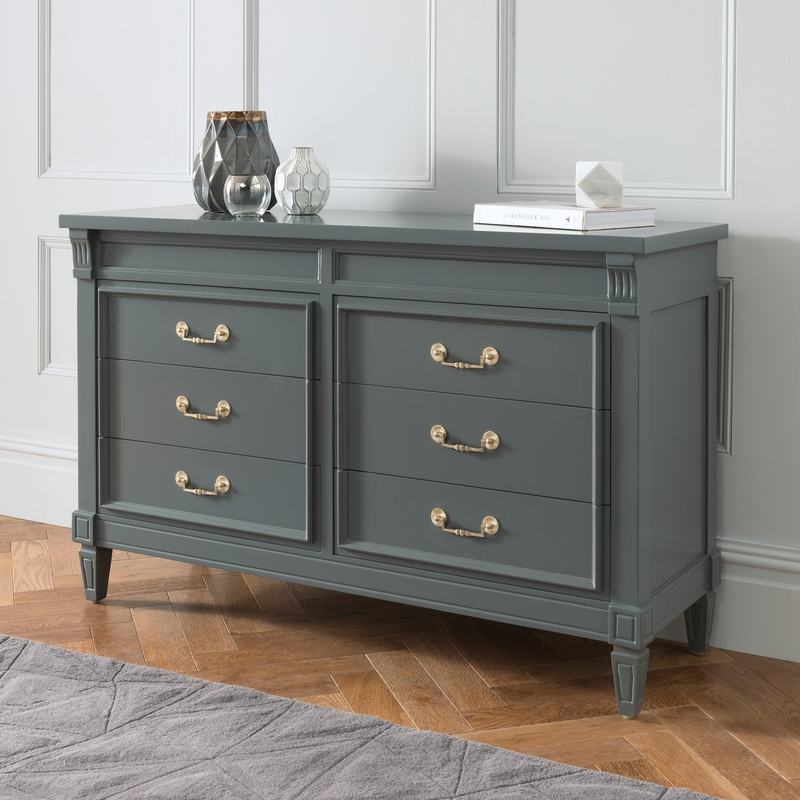 Crafted from natural wood and finished in a grey with 6 drawers, this beautiful antique French style sideboard will work wonders in any dining room or lounge setting. Handcrafted by experts this sideboard will brighten up any home in an instant.